Our scientific team focuses on R&D, consultancy and training for agribusiness companies. Understanding the interaction between raw materials and processing technologies is our strong point. We assist the agribusiness companies by transforming new ideas into value-added products. We are pragmatic in a scientific way. As a scientific company, we assist companies with research & development projects. We have deep insight in processing technology and raw materials. All our work is tailor-made and adjusted to the specific demands of the client! We believe that sharing know-how is key to sustainable improvement for agribusiness companies. This is why our specialists are available to train our partners. We add value by in-company training on processing technology of raw materials. Our training sessions are customised to fit the needs of our clients. Our consultants are specialists with a broad view and deep insight into your branch. They understand your business and offer you new insights into your processes by combining science and process technology. During a visit by our specialists, bottlenecks in the production line are identified and solutions investigated. We improve your output. Zetadec was founded in 2007 by Menno Thomas. He completed a PhD in Wageningen in 1998, researching the physical quality of pelleted feed. After a couple of years working in the industry, he decided to found his own company in order to bridge the gap between practice and knowledge. Zetadec's name is taken from French sawmill (Ets Zetadec). Menno stumbled upon the sawmill whilst doing practicals in France in 1987. 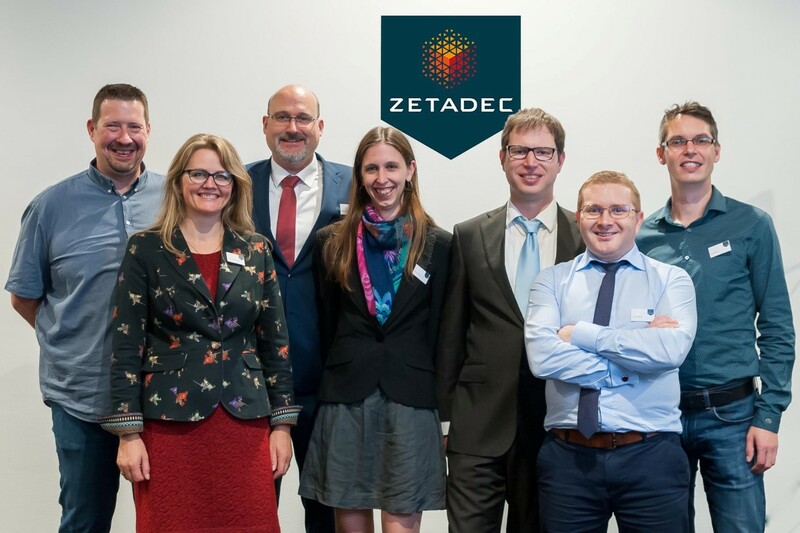 When the time came to start his own "consultancy and contract R&D organisation for agribusiness companies" the name stuck, resulting in the foundation of Zetadec.